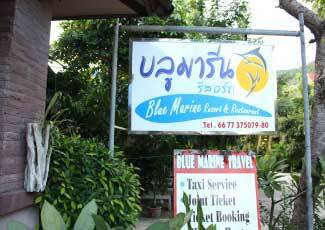 Blue Marine Resort is located on Had Rin Nai, the quiet and serene sunset beach on the southern side of Had Rin town; where all the action five minutes walk away at the famous party beach Had Rin Nok, yet far enough from the resort to ensure you get a good nights sleep! 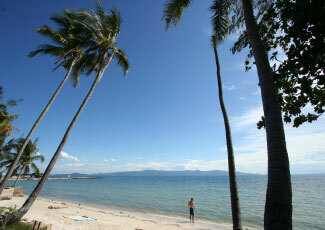 This side of Had Rin is well known for its peace and tranquillity, with Blue Marine right in the heart of the bohemian village that borders this beach. The rooms in the resort are set in beautiful tropical gardens with romantic winding paths leading to the white sandy shoreline and come with several different styles to choose from. Garden Cottage No TV: Quoted for 2 persons, 1 double bed (Some room plus for 1 single bed), AC, bathroom, hot shower, mini bar, drinking water, safety deposit box, free wifi, balcony and table set. 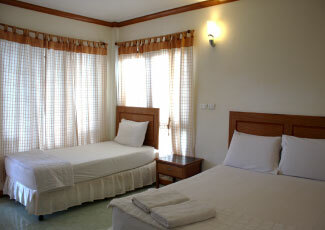 Requests bed type on date of booking only, no honeymoon room decoration. Special request up on available, not guarantee. Extra person charge without extra bed. No extra bed available. Garden Cottage: Quoted for 2 persons, 1 double bed (Some room plus for 1 single bed), AC, TV, bathroom, hot shower, mini bar, drinking water, safety deposit box, free wifi, balcony and table set. 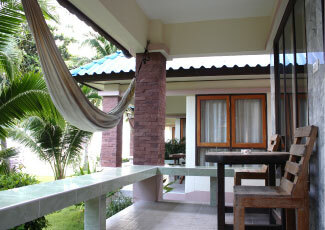 Requests bed type on date of booking only, no honeymoon room decoration. Special request up on available, not guarantee. Extra person charge without extra bed. No extra bed available. 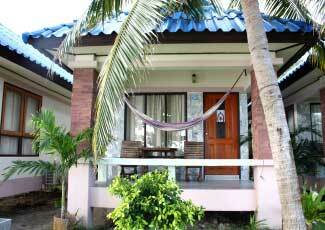 Beach Front Cottage: Quoted for 2 persons, 1 double bed (Some room plus for 1 single bed), AC, TV, safety deposit box, free wifi, bathroom, hot shower, mini bar, drinking water, balcony and table set. Request bed type on date of booking only. No honeymoon room decoration. Special request up on available, not guarantee. Extra person charge without extra bed. No extra bed available. 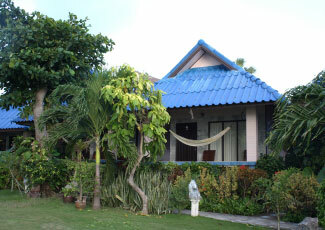 VIP Beach Front Cottage: quoted for 2 persons, 1 double bed, 1 single bed, bathroom, AC, TV, safety deposit box, Free Wi-Fi, hot shower, mini bar, drinking water, 180C and large balcony on beach, table set. 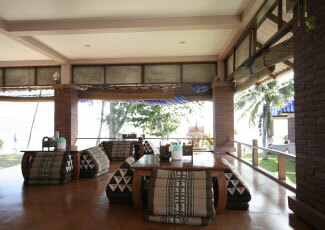 Our VIP Beach Front Bungalow is closed to beach you may can visit picture. No honeymoon room decoration. Special request up on available, not guarantee. Deluxe Room Double: Quoted for 2 persons, 1 king size bed, AC, Flat TV, Safety deposit box, bathroom, hot shower, mini bar, Free Wi-Fi, drinking water, balcony and table set. 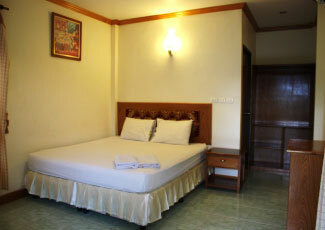 Our Deluxe Room Double Bed located is up on the hill, not flatland you be able to visit picture. No honeymoon room decoration. Special request up on available, not guarantee. This room No extra bed or extra persons available. Deluxe Room Twin: Quoted for 2 persons, 2 single beds, AC, Flat TV, Safety deposit box, bathroom, hot shower, mini bar, Free Wi-Fi, drinking water, balcony and table set. 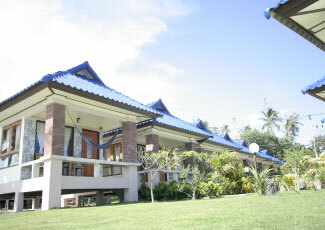 Our Deluxe Room 2 single Beds located is up on the hill, not flatland you be able to visit picture. No honeymoon room decoration. Special request up on available, not guarantee. This room No extra bed or extra persons available. 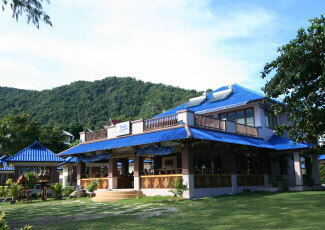 Number of cottage: 46 Units.